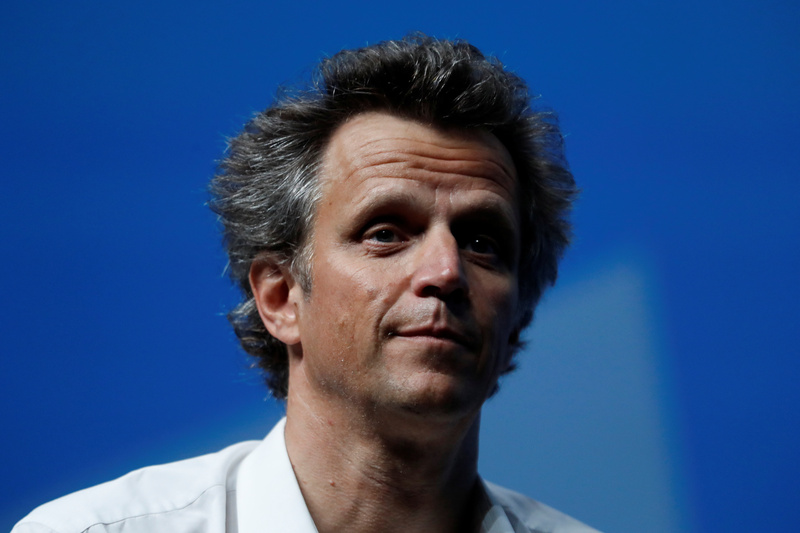 Arthur Sadoun, Chairman and CEO of Publicis Groupe, attends a conference at the Cannes Lions International Festival of Creativity, in Cannes, France, June 19, 2018. French advertising group Publicis on April 1 confirmed it is in talks to buy Alliance Data Systems' Epsilon marketing unit. “The Group’s governing bodies feel an obligation to study any possibility to strengthen its position thanks to assets that could fit the Group’s strategy and bring an enhanced service to the Group’s clients, while reinforcing its competitiveness for the future,” it said in a statement. Publicis shares were down 4.2 percent to 45.71 euros at 1322 GMT on April 1.